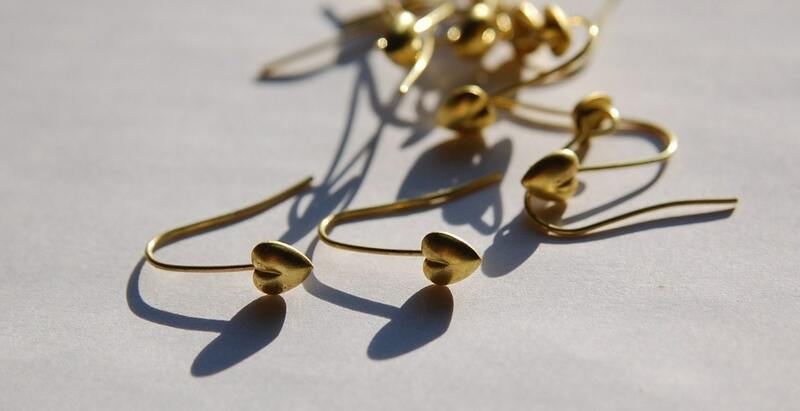 These are great ear wires done in brass. They have a little heart attached at the end of the front side. Behind the heart is a loop to attach your creations. These are raw brass and may show a spot here or there. 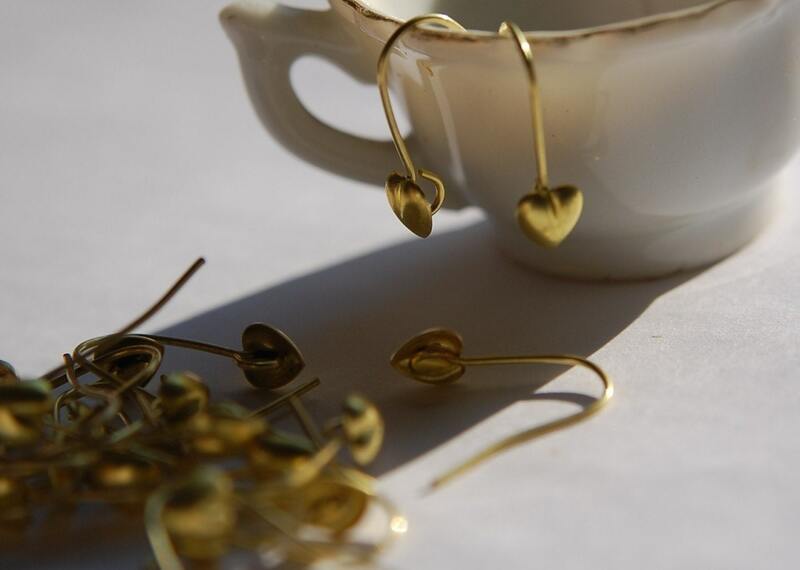 The heart measures 5mm, the back 1/2 of the wire measures 20mm, the front 18mm. You will receive 12 pieces or 6 pairs. The shape is cute but thereal thing than the picture is yellow color. Because I thought that it was raw brass color, the color did not match with other parts. Nice ear wires but more gold tone in color than expected.